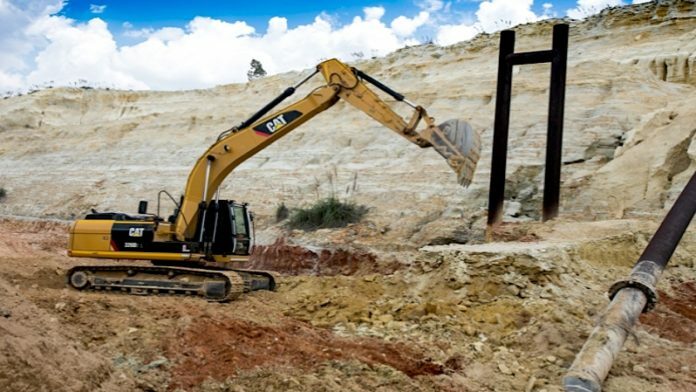 DRDGOLD declared it was off to “a flying start” at its Far West Gold Recoveries (FWGR), the project it bought by selling shares to Sibanye-Stillwater. At Ergo, however, DRDGold’s operating facilities, production fell and costs consequently rose. This was by dint of a series of power mishaps over an 11-day period that included a fire at an Eskom sub-station, a lightning strike at Brakpan tailings, and load-shedding. As a result, quarter-on-quarter gold production fell 5% to 35,732 ounces as tonnage slid 8%, the company said. Cash operating costs were 8% higher at some R101 per kilogram of gold produced from a previous number of R94/t. The increase in gold price received and gold sold contributed to an increase in adjusted earnings before interest, tax, depreciation and amortisation for the quarter. Second quarter and interim earnings will be down on an unadjusted basis, however. For the six months ended December 31, DRDGold forecast a loss per share of between 5.8 to 8.6 South African cents which compares to earnings of 14.4c/share for the corresponding period of the previous financial year. On a headline basis, share earnings were also expected to come in at a loss. Said DRDGold in a trading update: “The expected decrease in earnings per share and headline earnings per share … are primarily due to the costs associated with the commissioning and start of FWGR, as well as a 3% decrease in gold produced”. Shares in the company were unchanged on the Johannesburg Stock Exchange but on a 12-months basis, they are some 18.4% weaker. In December, DRDGold said that it was set to commission the FWGR project, only four months after beginning construction. Today it said that the project was off to a good start. “Construction of this began in August 2018 and early-stage commissioning on 6 December 2018,” said DRDGold. “FWGR is off to a flying start and we look forward to the benefit of its contribution in the second half of the 2019 financial year,” it added. In the first phase of development, for which DRDGold raised R300m in loans despite a static gold price, it is targeting a processing rate of 500,000 tonnes/month. The first phase is expected to start contributing to DRDGold’s bottom line by the second half of its 2019 financial year. In phase two, scheduled to come on stream 24 months after Phase 1, a central high-volume processing facility and new deposition site will be developed to handle about 1.2 million tonnes of material a month from different sources. In order to buy FWGC – a transaction that lifted DRDGold’s reserves and resources by more than 80% – it brought in Sibanye-Stillwater as a 38% shareholder. Sibanye-Stillwater also has the option of increasing its shares in DRDGold to just over 50% – a deal that has seen Niel Pretorius cop some criticism.